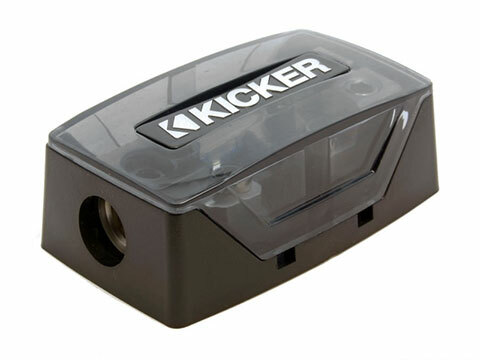 KICKER® brass hardware uses Versa-Gauge™ connection points with oversized convex screws for rock-solid connections. Use multiple gauge wires with no adapters needed. You get a clean, sharp install that lasts for years. ⚠ WARNING: This product can expose you to chemicals including lead, which is [are] known to the State of California to cause cancer or birth defects or other reproductive harm. For more information go to www.P65Warnings.ca.gov. 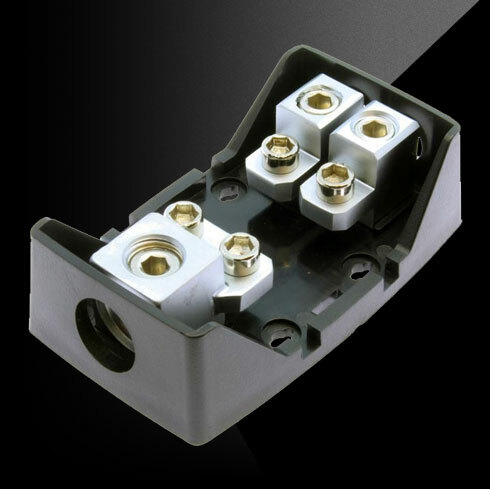 The KICKER® FHD Dual Fuse Holder accepts 1/0 – 8 AWG power cables and accommodates any size AFS fuse. 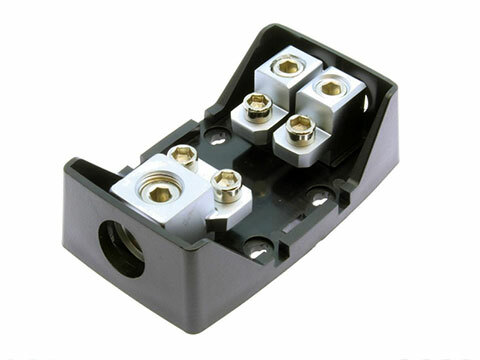 The wire receptacles work with most wire sizes for a clean, sharp install and a negative-post adapter collar that locks into place for a tight grip.